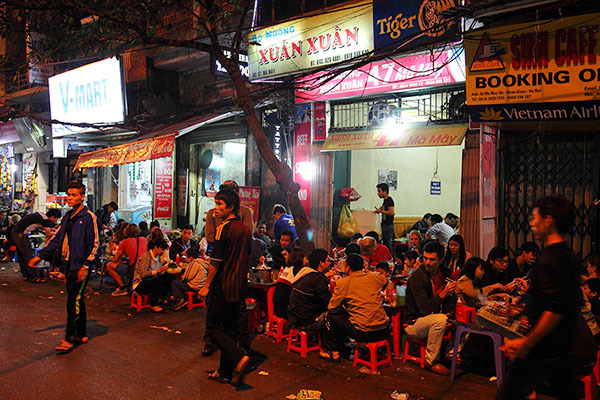 Top 10 restaurants - Where to eat in Hanoi? Top 10 restaurants – Where to eat in Hanoi? 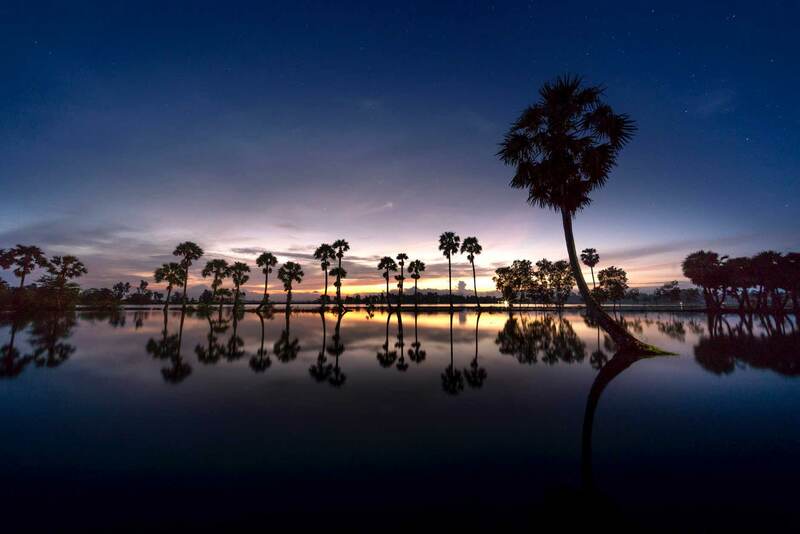 Do you have plan come to Hanoi Vietnam? And you are worry about where to eat in Hanoi? In this article, we will solve with the problem for you by the top 10 popular restaurants in Hanoi. The best Hanoi restaurants offer many stunning foods around the world. As you know, Vietnam has influences from most of France and China so restaurants make every meal an adventure. 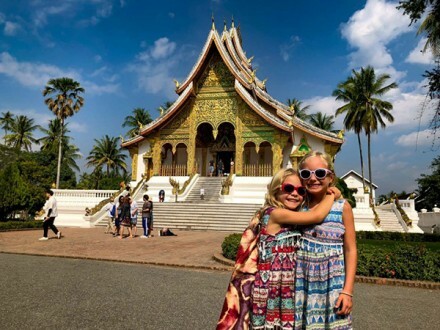 Tourists will have many options to down-to-earth local joints specialising in one type of dish, you are sure to find tastes of various foods in the most popular restaurants in the capital to suit. For top of the line Vietnamese cuisine, give Duong’s Restaurant a visit and let them pamper you with world-class service as you enjoy fantastic local dishes. This restaurant makes some of the best local food that you’ll ever taste. And if you want to take some of their skills home with you, be sure to sign up for one of their acclaimed cooking classes. Duong restaurant is a traditional food court where can bring the regional specialties from across Vietnam, all cooked fresh to order. 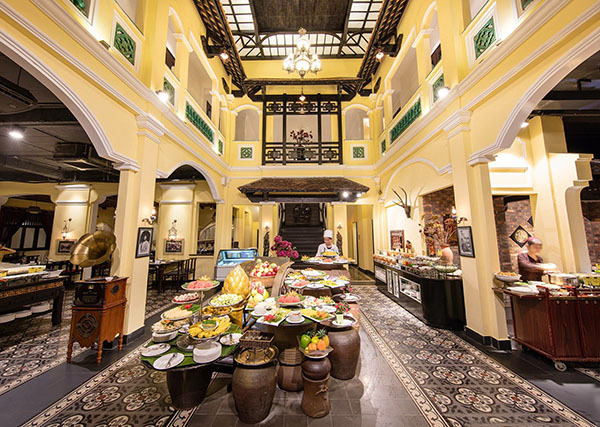 The chief – Hoang Duong who is voted in the Top Master Chef Vietnam prepared and the restaurant is beautifully designed in traditional Vietnamese style. 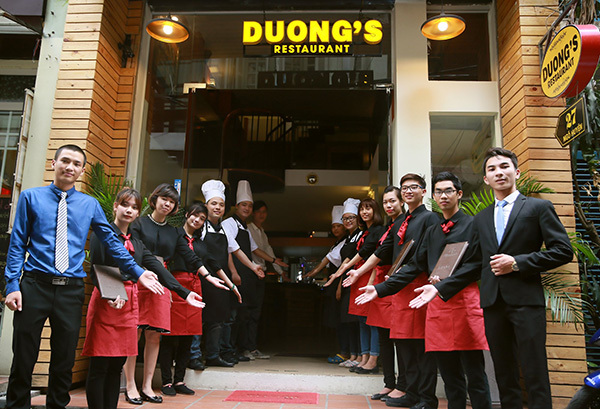 In the next time, Duong restaurant will appear in Saigon, so if you go to Ho Chi Minh city, you completely search for the place to enjoy the meal. 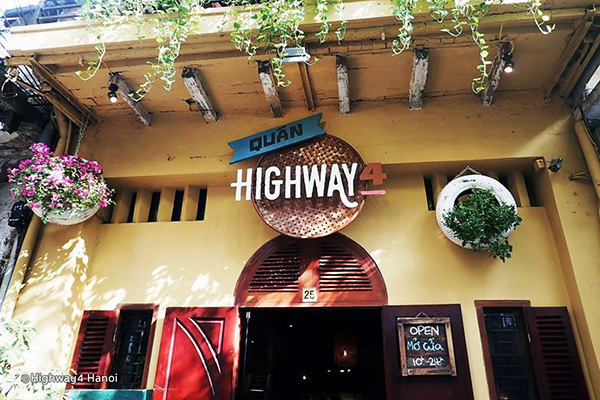 Hanoi Highway4 Hanoi is a restaurant attractive a numerous tourists by local Vietnamese dishes. For many years, a restaurant is a good option for the style of local artwork, bamboo furnishing, and floor cushions. Choosing this restaurant, you will be provided the various tastes, all food is served with plenty of local herbs which the restaurant tries to a source with the cooking techniques. There are plenty of exciting foods including the catfish spring rolls to grilled pork hanger steak. Without some traditional foods, you can try roasted lemon leaves, pan-fried scorpion, and frog steamboat. Highway4 Hanoi is also popular for serving a selection of Son Tinh flavored liquors. This restaurant offers many types of drink include draught beers, house spirits, imported wines, soft drinks, coffee, tea, and fresh juices. Sen Hanoi tends to serve extensive buffet-style menus in sophistication. Actually, the chief understood the demand of tourists who are looking to sample a variety of Vietnamese cuisine in a single sitting. 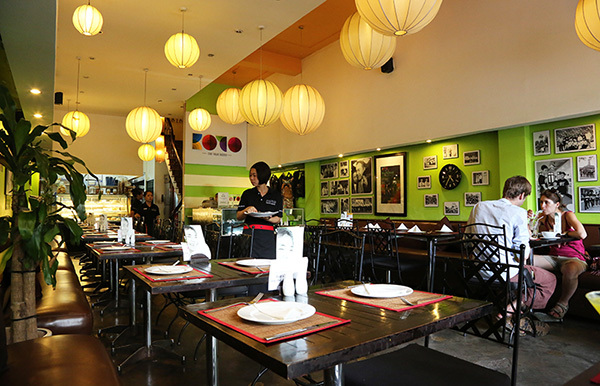 Sen Hanoi is the system of restaurants with three branches. Sen Hanoi is designed with a black-and-white theme, tablecloths, chandeliers, mirrors, wooden furnishing, a massive buffet area set up in the centre, and spacious seating arrangements. 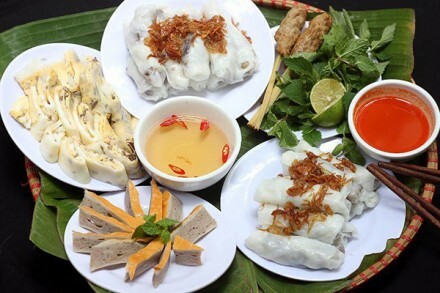 The tastes in menu adopt to plenty of Asian and European, including over 60 traditional dishes from three regions in Vietnam such as Vietnamese spring rolls, thenem sen (lotus rolls), cha ca (grilled fish), bun cha (grilled pork with noodles), and banh duc (Vietnamese cake). There are grilled lobsters, fresh salmon, oysters, sashimi, crab, and escargot. The atmosphere of restaurant is very interesting, but it can get very crowd during peak dinner hours. No doubt, the service here is professional and English-speaking staff. Sen Hanoi is famous by the good quality and diverse menu that’s also excellent value for money. Not only that Sen Hanoi’s buffet dinner will impress everyone – even people who don’t usually like buffets! Thus, it is a good idea to make a reservation before making your way to Sen Hanoi. 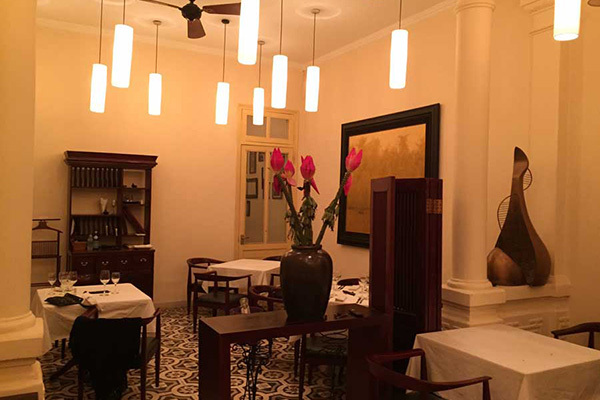 Hanoi Green Tangerine Restaurant Hanoi is more and more famous for the authentic Vietnamese and French cuisine. The brasserie-style restaurant is designed to the rustic décor, bare bricked walls, and antique furnishing. 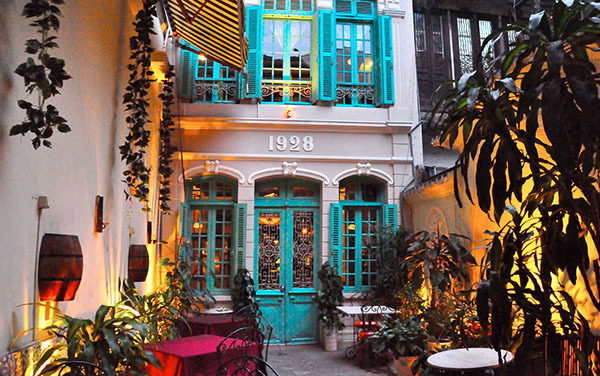 Green Tangerine Restaurant Hanoi tends to build the artful style. For example, duck breast carpaccio in red fruit is served with gizzard candied in ginger, eggplants rolled in spinach is presented on a lotus cake made with mashed carrots, taro, and cilantro. During the day, the cookers offer the two-course or three-course lunch set, which comes with a starter, main, and dessert. You will be satisfied with the homemade desserts in this restaurant such as apple crumble with red fruits sauce and Calvados, both of which are served with a scoop of ice cream. Green Tangerine Restaurant is one of the places Where to eat in Hanoi in order to make a reservation. 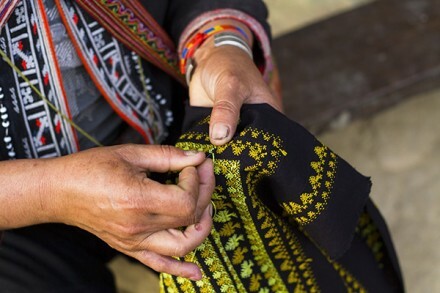 KOTO stands for ‘Know One, Teach One’ where you can enjoy powerful Vietnamese coffee and all Vietnamese dishes. The atmosphere of KOTO is pleasant as it is a charitable local where offers the chance to learn a trade and earn a living by working in the restaurant. 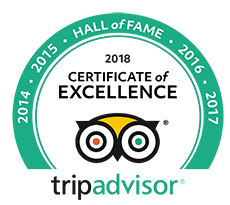 All staffs in this restaurant tend to make the happy atmosphere and a willingness to provide the best possible experience. You should try a Vietnamese Ice Coffee here and have renewed energy all day! La Verticale Hanoi is an elegant restaurant of stylish French by Chef Didier Courlou. Thus, the restaurant’s seasonal menus are cooked to French techniques as well as the region’s herbs, and spices. The restaurant is designed by the white walls and tiled floors intact, wooden furnishing with white tablecloths. It is said that La Verticale Hanoi always provides the comfortable armchairs and excellent views from the center of the capital. Choosing this restaurant, you can enjoy 5 spices of Hanoi, artichoke leaves in Dalat, Halong curry sauce, and Mekong fruits sorbet. Many delicious foods are set up on the menu with desserts and optional wine pairing. The most popular of La Verticale Hanoi’s drink is the imported wine such as Figaro, Moulin de Gassac, and South West of France. You will be offered bottled spices such as peppercorns, wild pepper, star anise, and aged nuoc cham sauce. When you enjoy the foods here, you will love a stylish spice shop that resembles an apothecary. La Verticale is evaluated excellent food-and-beverage, romantic ambiance, and old-world charm, but the price range is much higher than others. 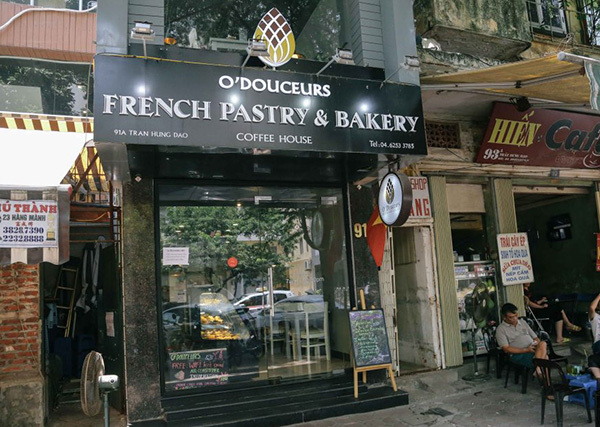 Another place – where to eat in Hanoi is O’Douceurs which is built follow to French patisserie. Choosing this restaurant, you can enjoy fresh bread, and cakes like these smoothies, coffees, and teas in a cozy setting. This award-winning café is accessible within five-minute walk from the Hanoi Railway Station. O’Douceurs Hanoi offers a wide selection of sandwiches and croissants as well as desserts such as macaroons, fruit tarts, and cookies (available in vanilla, chocolate chip, and cinnamon). Thus, it is more and more attractive to foreigners. The chef combines the patisserie’s decadent chocolate fondue and the fresh strawberries, bananas, and cookies. Cakes are also must-tries here – we highly recommend the dark forest, vanilla raspberry eclair, and chocolate feuillantine. 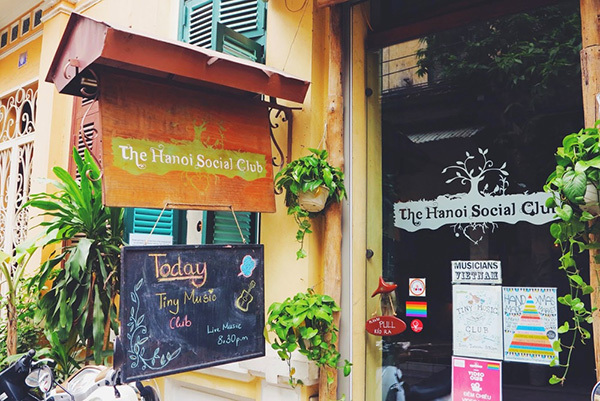 The Hanoi Social Club is a popular club among the hip and trendy socialites of Hanoi. They often have musicians in to perform, which makes for intimate shows in a relaxing atmosphere. Hanoi Social Club is the place to visit in Hanoi if you are looking for a cool with amazing western brunch dishes. The coffee and smoothies are excellent. The menu centers around Mediterranean cuisine, with many excellent options for vegetarians as well. Whether you’re looking for a spot for brunch or a place to spend the evening, this is a fine choice. The soundtrack is varied and modern, there’s a library of books and free Wi-Fi. Xuan Xuan Restaurant might not win any award for style, but if you want to eat like a local this Vietnamese BBQ is just about the best in town. Coming here, you can order a selection of meats like pork, beef and goat udders combine with vegetables. This restaurant is more and more attractive tourists in Vietnamese BBQ. 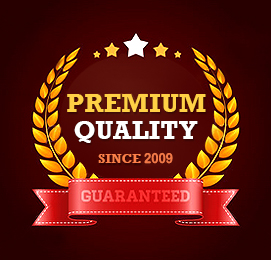 It’s a fun experience, eating the tastes you love and the taste is truly delicious. If you’re looking to try some fantastic bún chả – which is grilled pork, vermicelli noodles, veggies and spring rolls – then here’s one of the best spots in the city. They have a long history of serving this famous dish, and they’re only a short walk from Hoan Kiem Lake, so you really have no excuse. 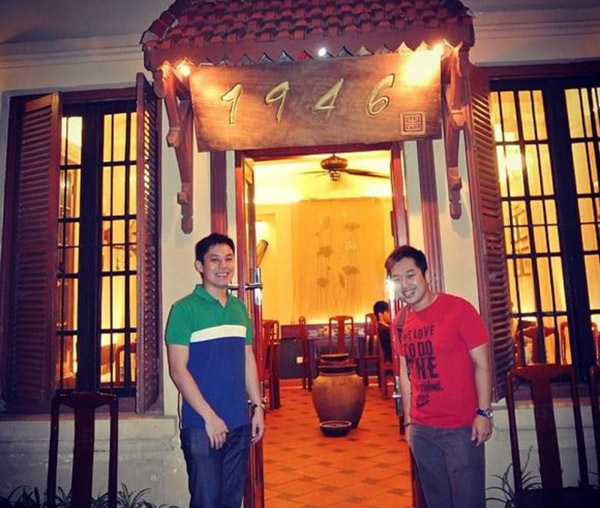 1946 is one of those Vietnamese restaurants a Hanoian will bring you to for experience of the local cuisine and local atmosphere in a more comfortable environment than a street stall. Hidden down a small valley, it can be noisy and smoky but the food’s dependably good from a broad menu of Hanoian cuisine. Set over two levels, there are conventional tables and chairs downstairs. Upstairs dinner is seated on the floor at low tables. 1946’s location is a little out of the way which means tourists are not a big part of the crowd here. 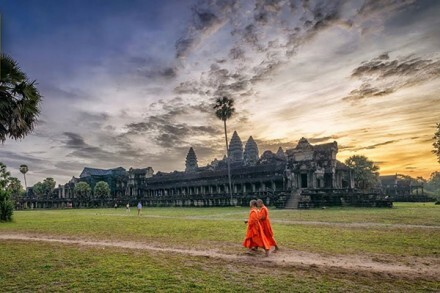 More than 1 million Vietnamese are thought to have died of starvation as the war caused upheaval in the economy and food supplies were diverted to Japanese troops. 1946 was also the year that Vietnam’s war of independence against the returning French colonial forces began. On our most recent visit, we couldn’t help but notice that the place was looking a tad grubby.